One of the best ways to keep in touch with the latest philatelic publications of note are philatelic literature competitions at World Series of Philately shows. Coming up the weekend of November 16-18 is Chicagopex 2018. This year’s show marks its 52nd anniversary with the literature exhibition and competition being the oldest continuous philatelic literature show in the nation. Being exhibited and judged are entries from a wide variety of philatelic publishing including books, journals, catalogs, columns, articles and even digital media. This year’s submissions will be judged using the new guidelines, including the revised point distribution system, adopted after StampShow in Columbus. 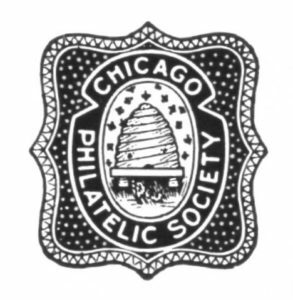 This year’s show continues a long commitment by the Chicago Philatelic Society to the exhibiting and promotion of philatelic literature at Chicagopex. 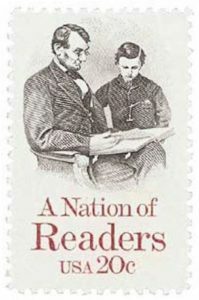 In contrast to the longstanding contribution of Chicagopex to the promotion and exhibiting of philatelic literature comes the announcement of a new literature competition to be held February 1-3, 2019 at the Sarasota National Stamp Exhibition in Sarasota, Florida in cooperation with Writers Unit 30, the society for philatelic authors. The Sarasota exhibit and competition will be open to articles of less than 8,000 words. The “articles only” show is intended to recognize the hundreds of authors of philatelic journal articles who each year contribute to the hobby with new insights and research for collectors, exhibitors and researchers. Journal editors and authors are encouraged to submit entries for the show no later than December 1, 2018. Follow the links for a a complete prospectus and entry form. How interesting! I wasn’t aware of this. I look forward to learning more about these literature exhibitions. Thanks! Philatelic literature competitions are very important to the health of our hobby. As a reminder, the APS has run a Newsletter Competition annually since 1999. The results of the 2017 competition (announced in May 2018) can be found at https://classic.stamps.org/NewsItemDetail.aspx?id=155. I encourage all APS affiliates to submit their newsletters to this important competition.